Citations supports citing with Manuscripts, a new writing tool for researchers. The icon for the current Application in Citations no longer appears behind the Citations window. 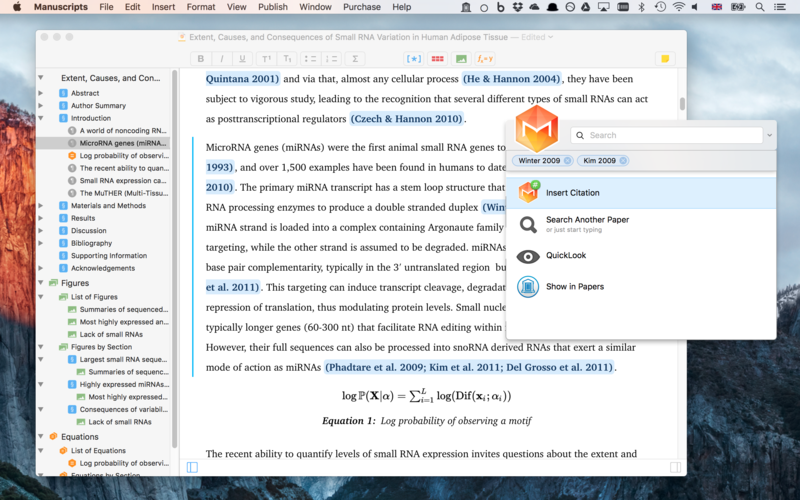 Citations can now save manuscripts that belong to sandboxed apps, such as TextEdit. Improves the reliability of inserting citations into some applications.